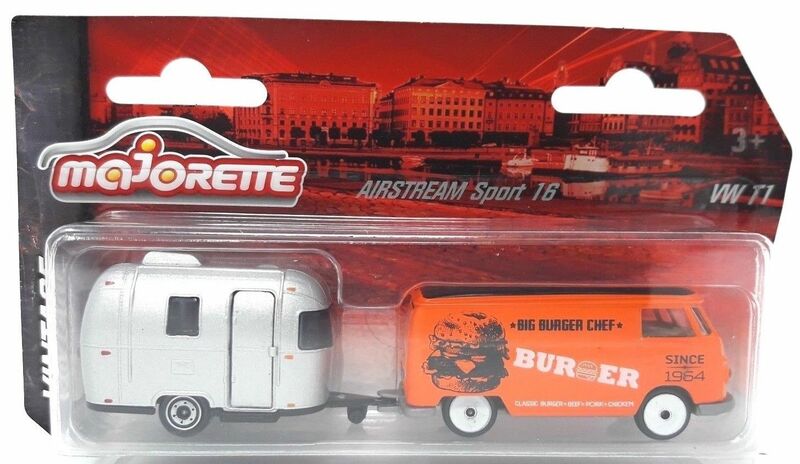 Majorette is origin a French manufacturer of toys, especially diecast miniature cars. 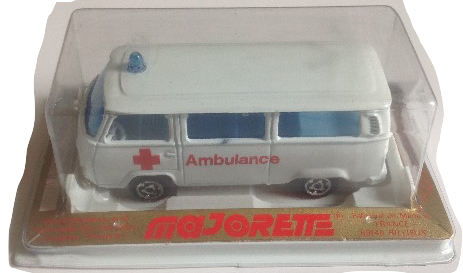 In 1964 the first model cars appear on the market under the Majorette name. 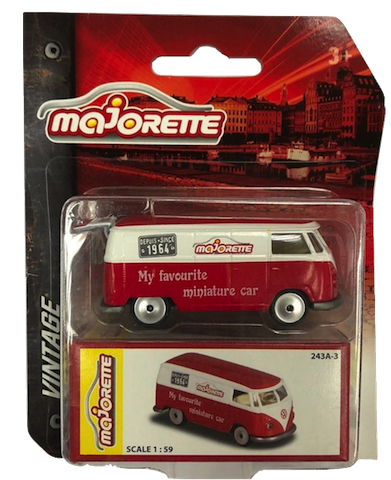 Majorette, as the company finally comes to be called from 1967 onwards, quickly becomes France’s largest model car manufacturer by revenue. Production is initially in France, then later also moves to Portugal. In 1987 the production moved to Thailand. In 2010 The Majorette brand becomes part of the Simba Dickie Group. 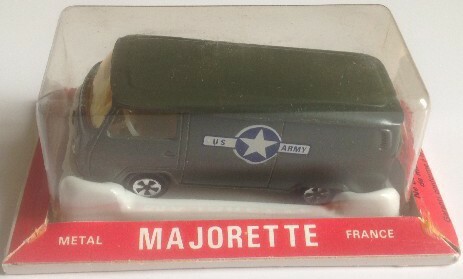 In 2012 the tsunami destroys the Majorette factory in Thailand. 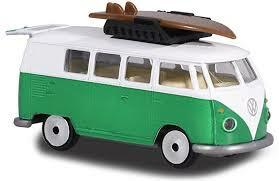 It is rebuilt with new, ultra-modern machines, moulds and tools. 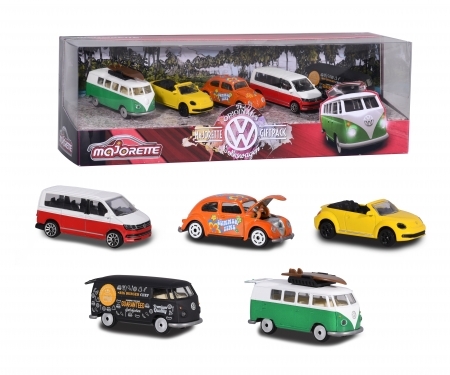 Majorette made the Volkswagen T2 in the early seventies (started 1973) and since 2017 the T1 samba and T1 panel van (2018). 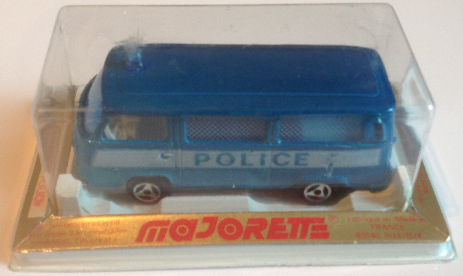 In 2016 Majorette also released the T6. 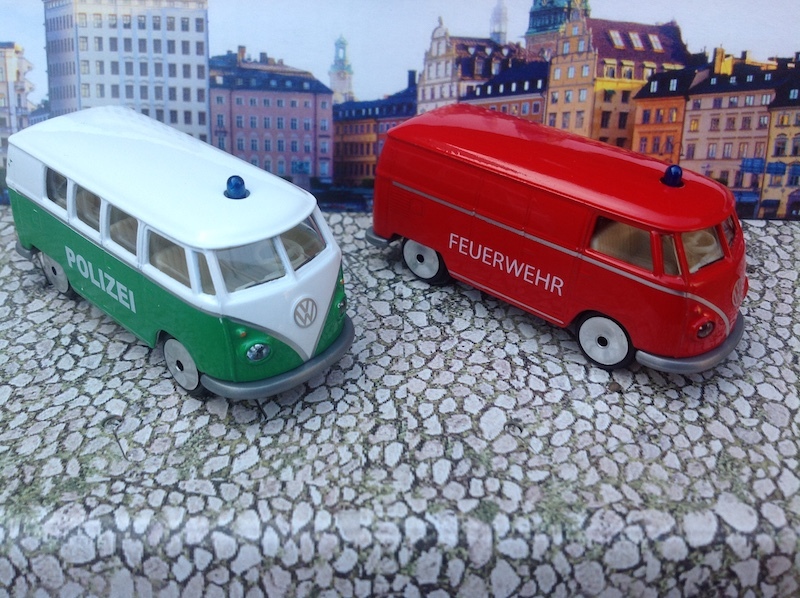 The first release was the T2 ambulance with reference 244 in 1973. 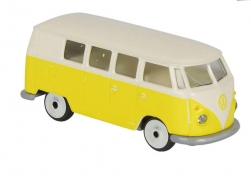 At the end of 1974 the model disappeared and was re-released in 1976 with no. 226. 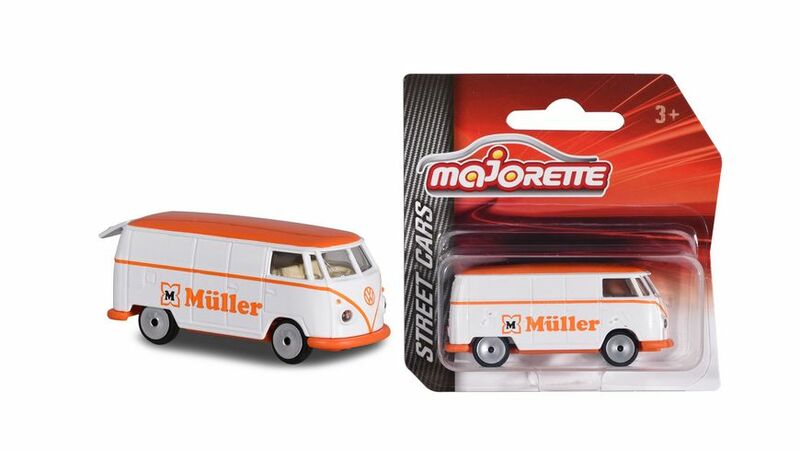 Special edition of the T1 for the German retailer Müller. 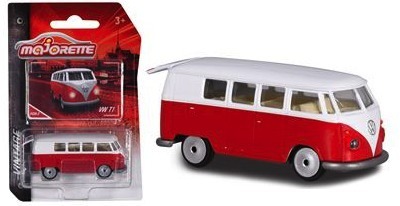 From a 5 pack, the Volkswagen T6. 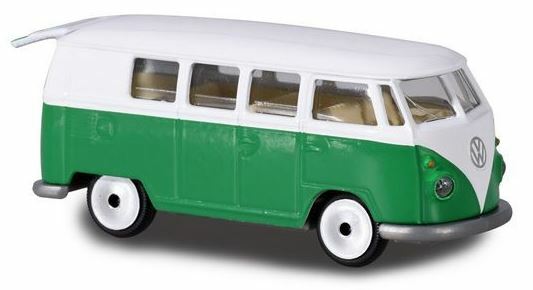 Made special for the German retailer Müller, the 243A in green.